Road trips can be incredibly fun, but one road trip mistake can quickly ruin the trip. To prepare yourself for the long trip ahead Travellers Autobarn has listed the 7 most common road trip mistakes and how to prevent them. Enjoy! Sitting in traffic for hours is a waste of time and money. By idling, you’ll burn through gas without going anywhere. Plan ahead and leave during a less busy time (early in the morning or just after rush hour), or find alternate routes with less traffic. You won’t regret it. Pick a few activities and take your time to enjoy them without having to constantly check your watch. If possible, leave some extra buffer time for any unexpected and spontaneous fun that you may come across. It’s amazing how quickly that wallet can thin out. There are many unexpected road trip expenses that may surprise you. The price of gas can vary depending on the area, unexpected toll booths can swallow up your change, and even ATM/Debit fees can add up quickly. Take your time to properly budget for your road trip, and have some additional cash tucked away in case of an emergency. Small expenses, including roadside snacks and souvenirs, can quickly add up. Road trips are usually a great time for chatting with your loved ones and playing road trip games for kids, but during lulls, it’s great to break up the trip with music and podcasts. Take the time to make some fun road trip playlists that will have everyone singing along. Everyone can also bring along their own tunes and take turns being the DJ. Download entertaining/ educating podcasts. Time always flies by while listening to a great podcast. While on the road, you must expect the unexpected. Accidents do happen, so it’s important to be prepared in case of an emergency. Double check if your vehicle is properly equipped in case you find yourself waiting at the side of the road. Hopefully, you won’t need any of these items, but when caught in a jam, you’ll be happy that you were prepared. A little extra planning goes a long way, especially on a road trip. Computer-generated directions are nifty, but one wrong turn and they’re useless. Bring a real road map and learn to read it. If you need some extra practice to learn the lost art of reading a roadmap here. 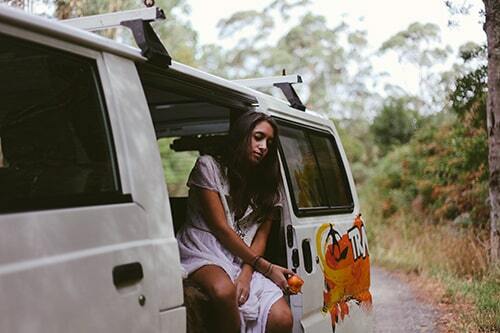 Road trips are fun as long as there are enough snacks to go around. Stock up on snacks that satisfy your hunger without raising your blood sugar with healthy, high-fibre foods such as nuts, fruits and whole grains. An Australian road trip is one of the best ways to experience the wide-open spaces and magnificent scenery. Start planning your trip now and get a quick quote here.